When I began my energy healing practice over four years ago, I quickly realized that childhood issues of anything from small, embarrassing moments to more intense physical or emotional trauma are often carried into adulthood. These incidents cause emotional wounds and create limiting beliefs that subconsciously create self-sabotaging behaviors. Removing this damaging programming with energy healing work allows adults to move forward without limiting blocks to experience greater success in relationships, finances, health and weight issues. I have a degree in Professional Child Care, have operated a child care service for over 25 years, and have been a child advocate to support the healthy development of children. I have found that providing energy healing for parents as well as children supports the entire family unit in providing a nurturing, healthy and emotionally stable environment for children to grow up in. I was adopted as a baby by wonderful parents and given a childhood that most children dream about. But many people do not have the same blessing of an enriching, happy childhood that I did. It is estimated that 80-95% of children grow up in an environment where they do not receive the love, nurturing and attention that allows them to grow into the confident, successful and stable adults that they should, so I wanted to create an energy healing program to support the whole family which included a workbook. As I began creating this workbook, I soon realized that the book could be written to help any family, whether they were in my programs or not. With this in mind, I wrote my new book “12 Weeks to Greater Peace, Joy & Love in Your Family” to empower families with deeper connected relationships, cooperation, harmony, understanding, respect and trust. The outside world influences children, but the home is where the foundational experiences and teachings occur. Although children often appear to ignore or disregard the teachings and examples in the home, especially teenagers, this is where the biggest impact for a fulfilling life is created. Healthy homes naturally create a healthy neighborhood, city, state, country and world. After 15 months of research and effort this labor of love will be available early 2014. This empowering self-help book is written in a clearly outlined form. Along with parent contributors, I share heart-felt stories that apply to us all. Mantras and specific assignments help readers connect with their own affirmative life force. This is an indispensable resource for every family library. 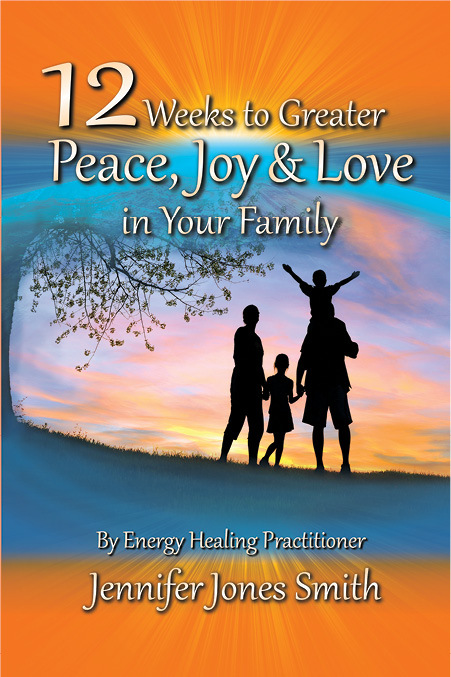 Let this book infuse your family with greater peace, joy and love in as little as 12 weeks! To learn more about this family guide visit this link “12 Weeks to Greater Peace, Joy & Love in Your Family” where you can receive 4 FREE Empower Your Family surveys, tips to improve your family, sneak peeks at the book and learn what the $160 in bonuses will be when you purchase the book on launch day! Heartfelt wishes to your family’s success and happiness! This entry was posted on Friday, January 3rd, 2014 at 5:07 pm	and is filed under Relationships, Wonderful Children. You can follow any responses to this entry through the RSS 2.0 feed. Both comments and pings are currently closed.